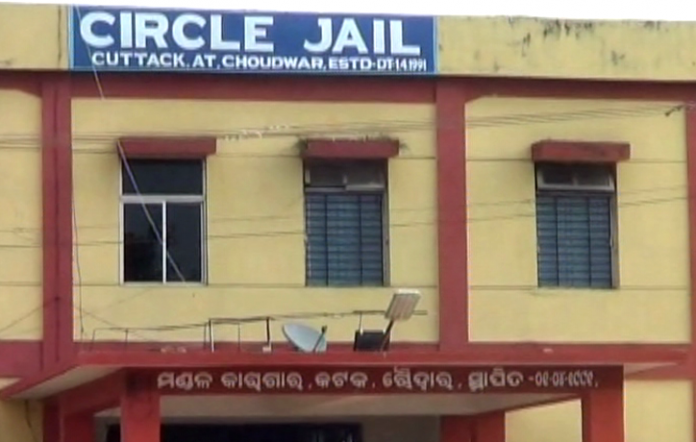 Cuttack(Samaya Bureau): An undertrial prisoner of Choudwar Circle Jail undergoing treatment at SCB Medical College and Hospital in Cuttack today died under mysterious circumstances while his kin alleged that he was tortured by jail officials. The deceased has been identified as Saroj Kumar Das alias Bapi (37) of Das Sahi under Malgodown police station. The deceased’s body bore several injury marks on his body, the family members alleged. Saroj was shifted to the central ICU of the SCB hospital five days ago from the Hepatology department as his condition deteriorated. He was arrested by Malgodown police on May 9 for his alleged involvement in a clash. Next day, he was forwarded to court. Later, he was sent to Choudwar Circle Jail. Saroj’s wife had gone to Choudwar jail on May 12 to give him some clothes. However, the jail officials did not allow her to meet him. Without having any option, his wife handed over the dresses to the jail officials and returned home. The Malgodown police informed his family on May 13 about the critical condition of Saroj, who was admitted to the SCB hospital for treatment. The family members complained that they found injury marks on several parts of his body but the doctor said he was suffering from jaundice. The jail authority has, however, refuted the allegation of torture inside the jail. “As Bapi was affected with Jaundice, he was admitted to the SCB on May 13,” Jail superintendent Niranjan Das said. Niranjan while rubbishing the charges of the deceased’s kin said that the allegations were baseless.